This is part five of a five-part series highlighting what TASER's thought leaders are most looking forward to at IACP. 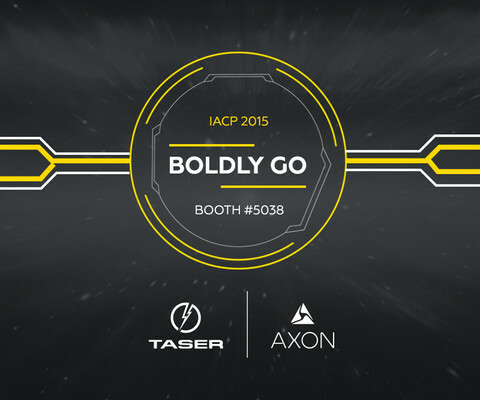 In this post, TASER's President Luke Larson shares his thoughts on upcoming IACP sessions. At TASER, we've always been about leading. Becoming the industry leader in life-saving weapons and body-worn cameras required a lot of work, perseverance, and some failures. But above all, we needed to love what we do. After all, we're working for community leaders who love what they do, even as they put their lives on the line each day. Leading means taking some risks for what you love doing. That's why I am looking forward to the IACP sessions that cover leadership skills. Real leaders are always willing to learn and to challenge themselves. Sunday morning's panel “Leadership in Police Organizations: A Necessary Investment for Developing Your Leaders and Influencing the Organizational Culture” and Tuesday morning's session “New and Aspiring Executives: Tools and Trade Secrets for Getting the Job and Succeeding” should offer participants practical tips on how to lead their organizations. But before I get too philosophical, let's have some fun at IACP. Leaders need to let loose too.